Planning an all inclusive vacation is an exciting time, especially when the entire family tags along! Couples vacations are relaxing, but there’s nothing more memorable than an all inclusive family vacation. Some resorts exclusively cater to adults, but others are sure to welcome your entire family with kid-friendly theme parks and amenities. 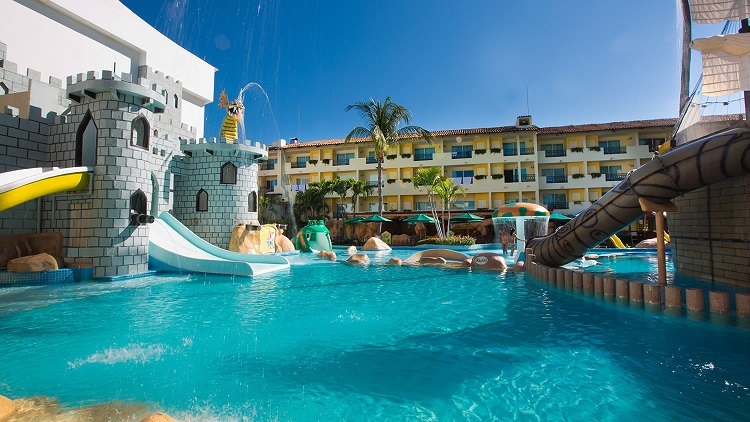 Give your family the trip of a lifetime by planning an all inclusive vacation at Crown Paradise Club Puerto Vallarta! Kids and adults can enjoy a number of onsite activities so the family-friendly fun doesn’t stop. Participate in an action-packed game of beach volleyball or keep things low-key with a round of pool. 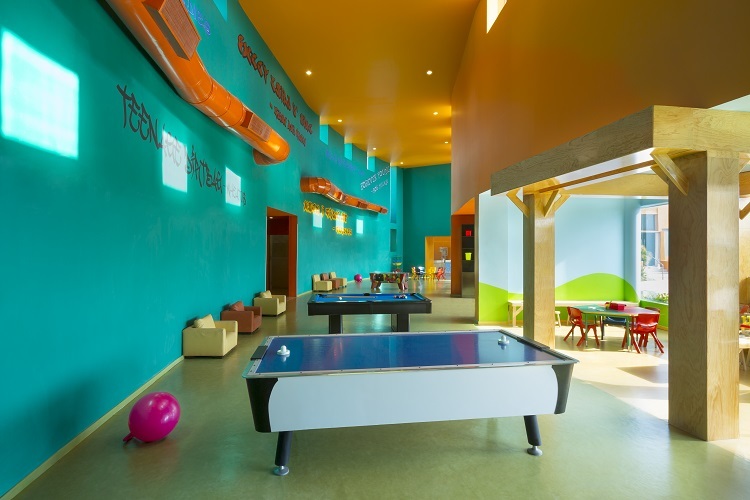 The resort also offers designated areas for different age groups to keep everyone entertained. Baby Paradise will keep little ones happy with story time, group activities, movies, and games. 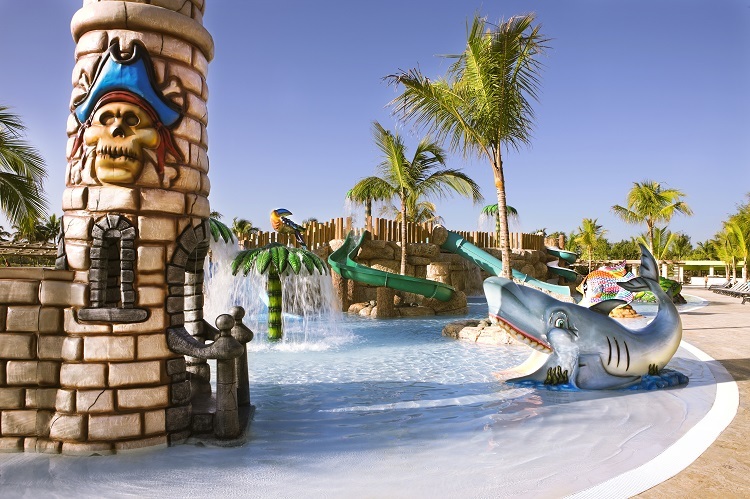 Children up to age 12 can splash around at Kid’s Paradise Club Water Park while gathering aboard a pirate ship or gliding down one of nine water slides! More advanced activities like gladiator fighting, video games, and air hockey will satisfy adolescents at Teen Paradise. Crown Paradise Club Puerto Vallarta has four restaurants offering delicious, gourmet meals along with menus that are designed specifically for children! You can also pop by one of the snack bars on the beach or pool if you’re on the go, but need a pick-me-up. Adults have access to five different bars where they can socialize while sipping on their favorite drink. The resort’s spa has numerous treatments for endless indulgence and even offers services for kids to enjoy, too! 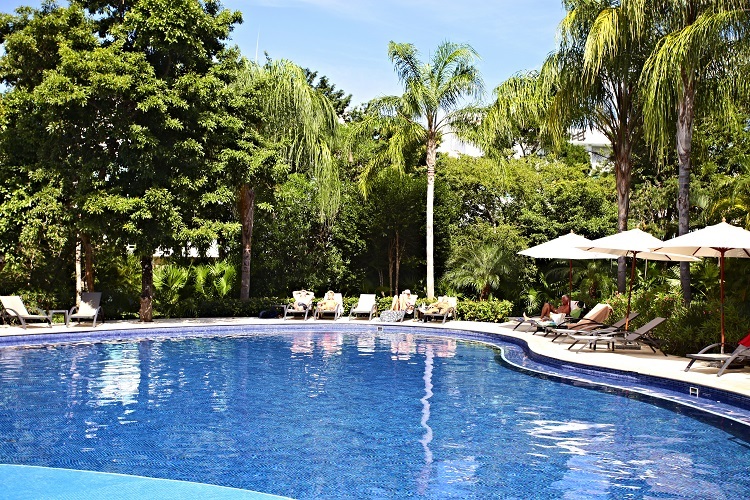 Book and SAVE on our vacation: Crown Paradise Club Puerto Vallarta packages are available now at All Inclusive Outlet. 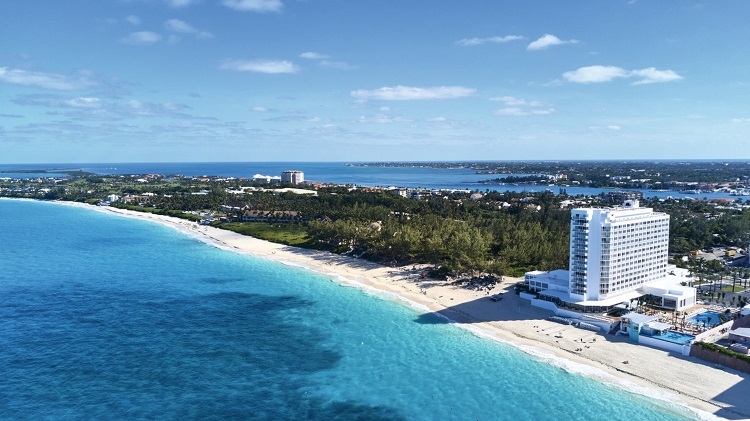 Vacationers will never find an oceanfront resort quite like this one! Located on the longest white-sand beach in Jamaica, the Hilton Rose Hall Resort & Spa surrounds visitors in stunning tropical scenery. What makes it even more special is the variety of activities the whole family can enjoy together! 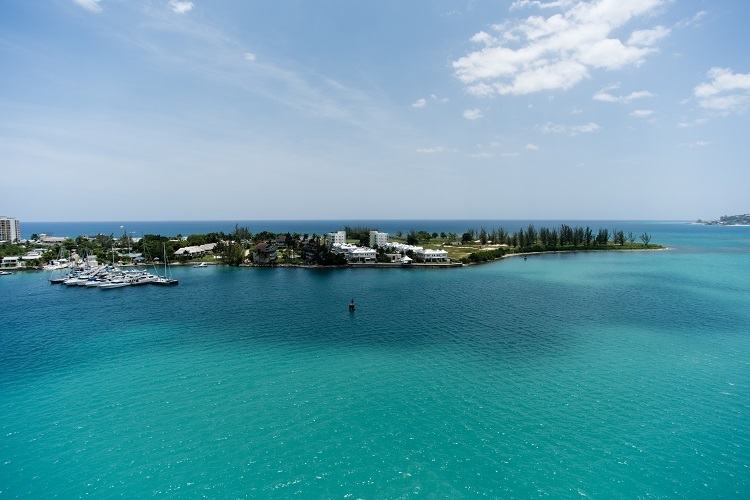 Take a dip in the large swimming pool or experience the beautiful Caribbean Sea by way of activities like kayaking, wind surfing, or boat tours. Sugar Mill Falls Water Park will be the highlight of your family’s fun as you mosey along in the lazy river, release your inner child down a 280-foot water slide, or enjoy live music as you lounge in a cabana! If you’re looking for some downtime, absorb relaxation at Radiant Spa with a massage while your children continue their fun at the Kids Club or Teen Zone. Eat until you’re satisfied with savory Northern Italian cuisine, Jamaican smoked BBQ, Caribbean-style dishes, and more! In addition to all the excitement this resort offers, don’t forget that children 5 and under stay and eat for free! Book and SAVE on your vacation: Hilton Rose Hall Resort & Spa packages are available now at All Inclusive Outlet. An all inclusive family vacation at Nickelodeon Hotels & Resorts Punta Cana in the Dominican Republic equals nothing short of amazing! 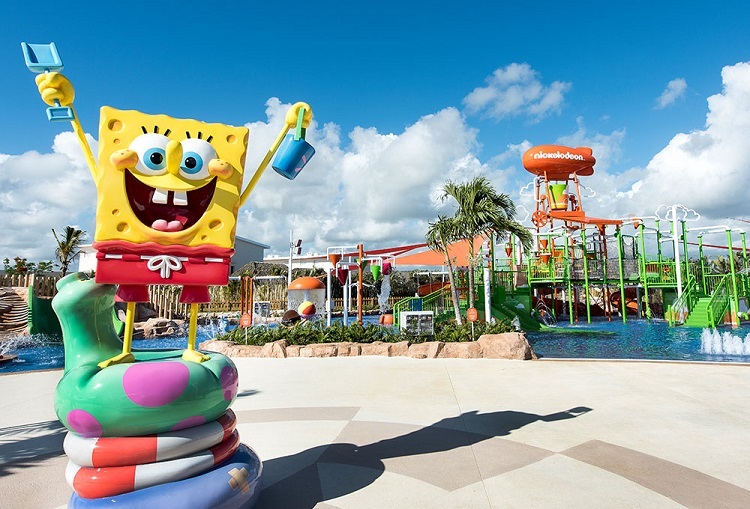 Enjoy Saturday and Sunday morning breakfasts with your favorite Nickelodeon characters, then make a big splash at Aqua Nick Water Park where you can take a fun, and messy, family photo under the Slimulator. Just Kidding offers more fun-filled activities like a ball pit, Slime-making classes, and science experiments. You can also enjoy comedy, music, and nightly entertainment at Character Central and Plaza Orange! The resort has plenty of restaurants to satisfy every type of eater and all kinds of hunger. Explore the galaxy at Spacewalker for far out meals or head over to BRGRS.PH for a Machete Burger, made for the entire family! If you ever need a break from all the fun, the Vassa Spa is ready to provide you with luxury and relaxation. You can even bring the little ones for some pampering! Before your vacation is over, don’t forget to visit Nick kNacks for professional photos and fun souvenirs so you can hold on to memories for a lifetime! And remember – your favorite Nickelodeon character may pop up at any moment throughout your trip! Book and SAVE on your vacation: Nickelodeon Hotels & Resorts Punta Cana packages are available at All Inclusive Outlet now. 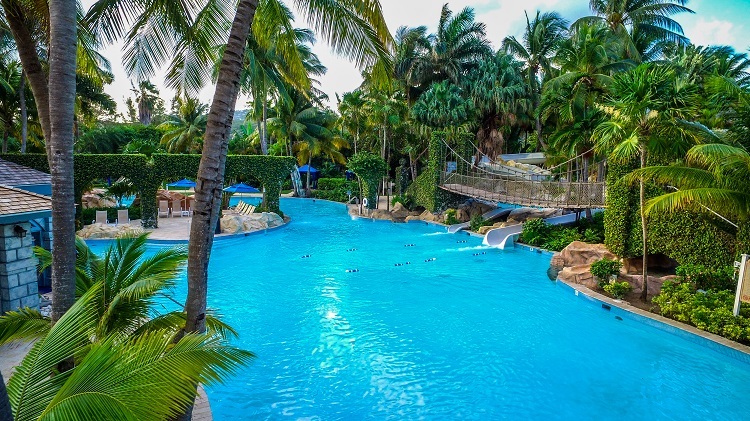 This all inclusive family vacation resort keeps its rock star theme going in a luxurious, beachfront setting! 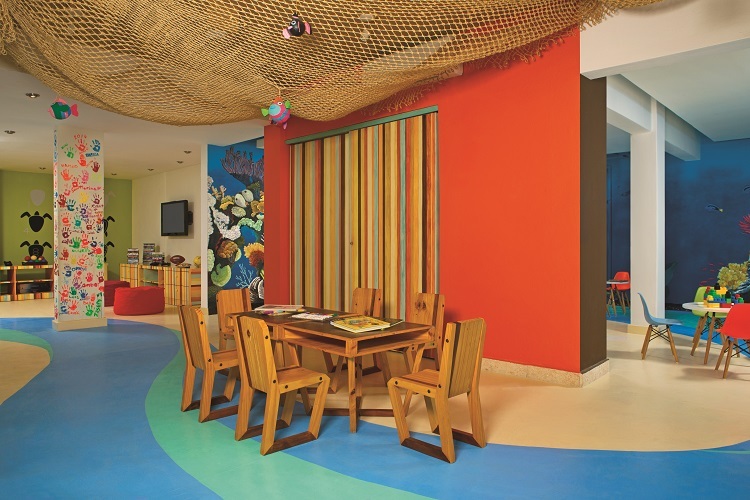 Hard Rock Hotel Cancun’s long list of amenities gives options for families to rock and roll together or apart. Children ages 4-12 can enjoy a pool, trampoline, video games, and more at the Kids Club. The resort’s large swimming pool features a kids section for young ones and two swim-up bars for parents to enjoy. Guests ages 12 and over can visit the Music Lab for the ultimate rock star experience! You’ll get to play in your own band, star in a music video, try your hand at DJing, and get in some studio time! After a busy, fun-packed day, the entire family will feel right at home in one of the resort’s spacious room and suites. Unwind in your double hydro spa tub while the kids get comfy and watch a show on the flat screen TV. If you really want to experience a true rock star life, enjoy 24-hour room service so you don’t even have to leave your oasis! Book and SAVE on your vacation: Hard Rock Hotel Cancun packages are available now at All Inclusive Outlet. Bring your family on an all inclusive getaway to St. Lucia! Coconut Bay Beach Resort & Spa sits on a beautiful beach perfect for a quick walk or to soak in some Caribbean sun. If you’re there during the right season, you may even witness turtle nesting! Back on resort property, families have access to the Splash wing, featuring plenty of fun for both parents and kids. 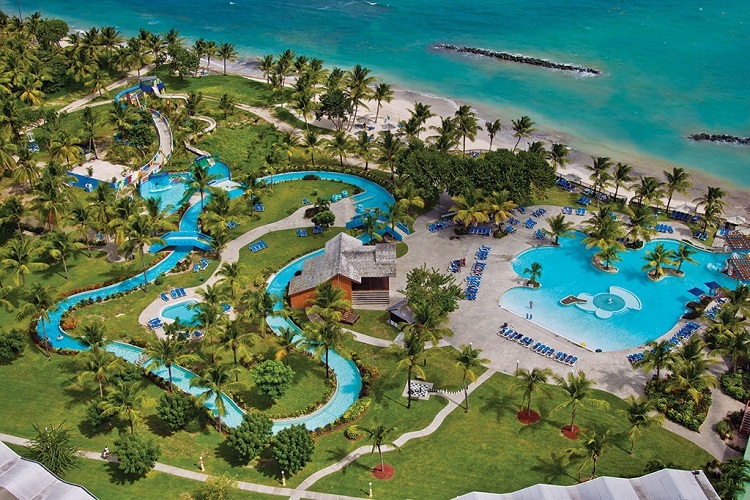 You’ll find St. Lucia’s largest water park where you can venture down thrilling water slides before hanging out in the lazy river. If you’re looking for some action, participate in an intense game of paintball at The Zone! You can also make furry friends at the petting zoo and enjoy a family fun night together! When it comes to evening entertainment, Coconut Bay delivers! Caribbean nights feature upbeat music for dancing, flavorful meals, and eye-popping performances from acrobats and fire-breathers. Country & Western Night will have you line dancing your way to some mouthwatering BBQ, and the entire family can show everyone their talent at a karaoke party! Your time at Coconut Bay Beach Resort & Spa will be a memorable experience for everyone involved! Book and SAVE on your vacation: Coconut Bay Beach Resort & Spa packages are available now at All Inclusive Outlet. RELATED: 12 Resorts that are Fun for the Whole Family! This colonial-style property sits among lush green scenery facing a gorgeous blue ocean in Mexico. Depending on their age, children will enjoy the Baby Club, “El Ranchito” Mini Club, or the Black & White Junior’s Club. Daily and nightly activities are planned to keep your little ones occupied while you enjoy some adult-only relaxation. Families can also experience the Play at Palladium with Raggs program where your little ones will be entertained by a group of friendly, colorful dogs! Family fun doesn’t stop there! Adventures satisfy all tastes from sports fanatics to nature cravers with activities like mini golf, archery, beach volleyball, and a crocodile exhibit! Guests can also play video games, build sand castles, and enter karaoke competitions. Additionally, the resort’s INFINITE INDULGENCE® program offers unlimited services for guests to enjoy delicious al la carte restaurants, a tranquil day at the spa, and an array of entertainment fit for the whole family! Book and SAVE on your vacation: Grand Palladium Colonial Resort & Spa packages are available now at All Inclusive Outlet. Another Dominican favorite that sits on the best beach in Punta Cana is Barcelo Bavaro Palace Deluxe! Family-friendly fun starts with separate pools fit for different age groups. Take things up a notch at the Barcy Water Park or the new Pirates Island Water Park so you can experience water slides, a wave pool, and waterfalls in the swimming pool! Teens can socialize at The Xone Teen’s Disco while adults partake in a combination of American and Caribbean games at Casino Bávaro or party until the early morning at the nightclub. If you’re looking for something the whole family will love, come together at the Grand Teatro Bavaro for a unique and entertaining experience! Barcelo Bavaro Palace Deluxe also offers 180 spacious suites, each with two separate bedrooms, to ensure the entire family is comfortable during your stay. They also have Family Junior Suite Premium Level rooms for additional space and luxury, as well as Family Duplex suites that feature two levels! Book and SAVE on your vacation: Barcelo Bavaro Palace Deluxe packages are available now at All Inclusive Outlet. 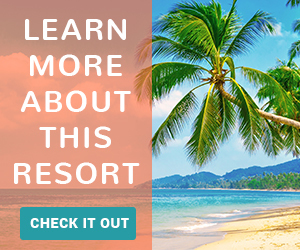 Every member of the family can indulge in Unlimited Fun® at this resort! There’s no better place than Cozumel, Mexico to catch a glimpse of sea life through snorkeling or scuba diving (just remember, these may come at an additional cost.) The Explorer’s Club is available to kids ages 3-12 where they’ll find plenty to do like sand castle competitions, arts & crafts, and much more! There’s also The Core Zone for teens who can participate in activities like karaoke night, billiards, and land or water sports. While their young ones are occupied, parents can escape to the resort’s tranquil spa for a Swedish massage or Seaweed Body Wrap. Accommodations with family rooms and adjoining suites are available to guarantee everyone’s comfort as you take in stunning views from your private balcony or terrace! Dining options will please even the pickiest eater with kid-friendly menus offered at a la carte restaurants. Cups overflow with beverages of all types, including fresh fruit juice! 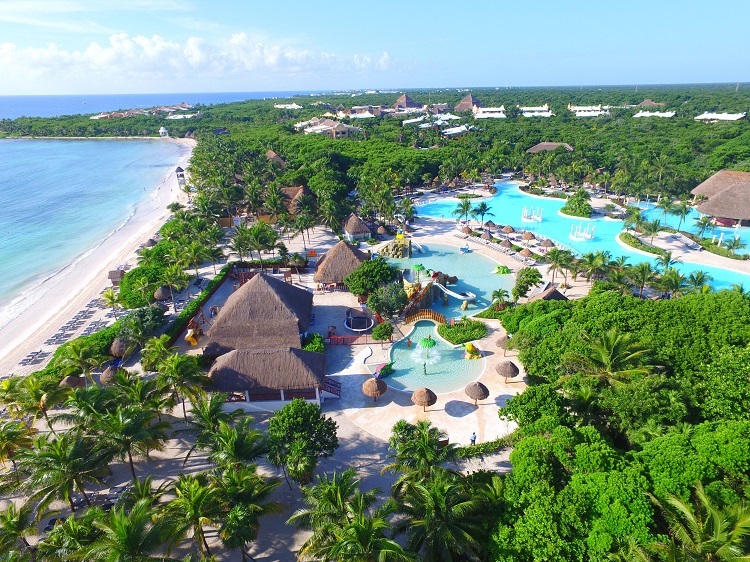 Book now and SAVE on your vacation: Sunscape Sabor Cozumel packages are available now at All Inclusive Outlet. The best all inclusive vacations for families cater to every age group and all interests! Find inspiration (and the best prices) at All Inclusive Outlet to book your family’s next beach vacation!